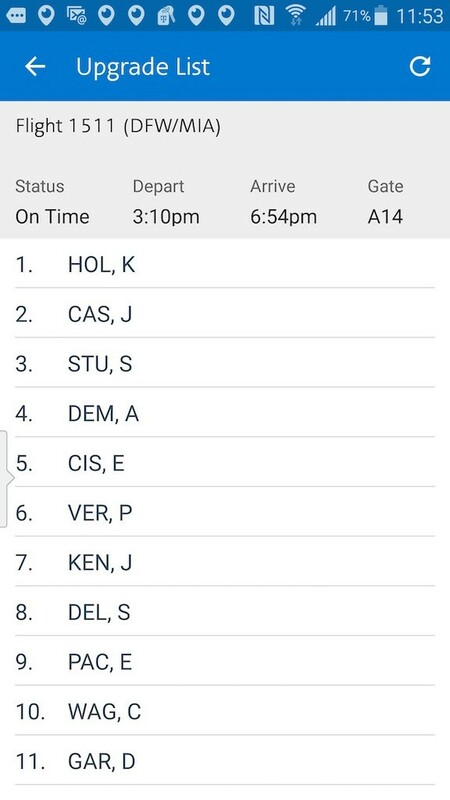 This is the most unreliable as it just shows assigned and unassigned seats. I say its unreliable as the unassigned seats may already be booked and will be assigned as the flight’s departure time draws closer. Remember that the fact that a seat is open does not really tell you that the flight is open or not; just that the seat is not assigned. The closer it gets to departure though, its pretty accurate as people are checking in. Here’s how to access it for what its worth. 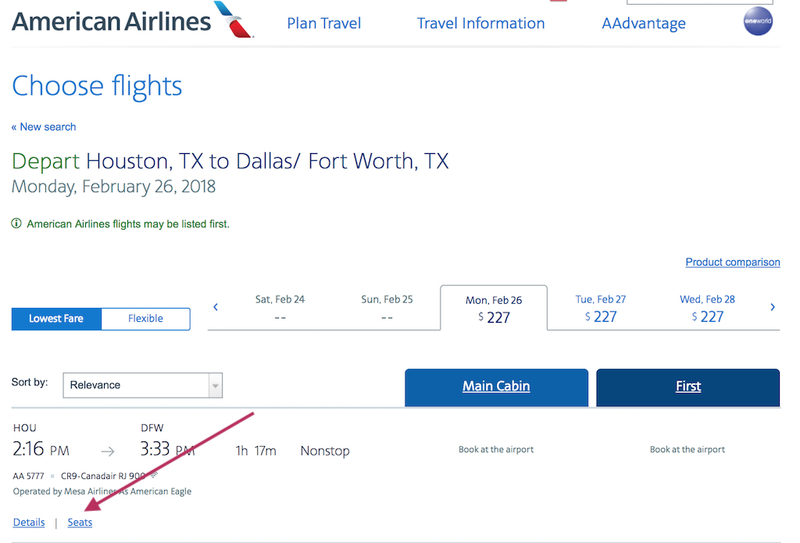 To use this functionality, head to https://www.aa.com/booking/find-flights?tripType=oneway or navigate to it by first going to AA.com > Plan Travel > Flights. 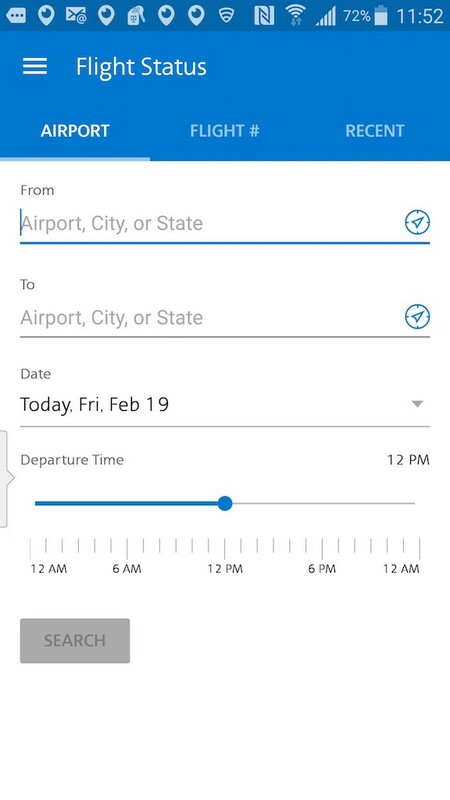 Enter the details of your flight, From, To and Departure Date. 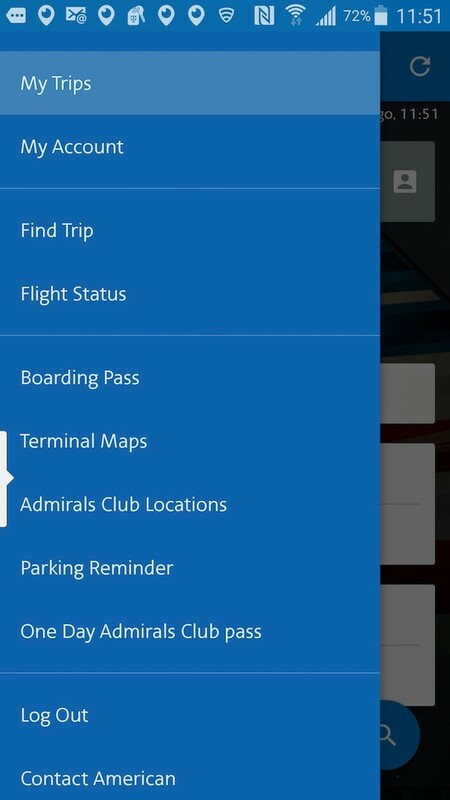 First, download the American Airlines App: Apple IOS | Android. This page explains all the functionality of the mobile App. You can also start at AA.com and navigate to Travel Information > Mobile and app. Despite the image that shows that you can see the standby list on the iPhone version of the App, I was not able to see it. All I was able to see is the Upgrade List. 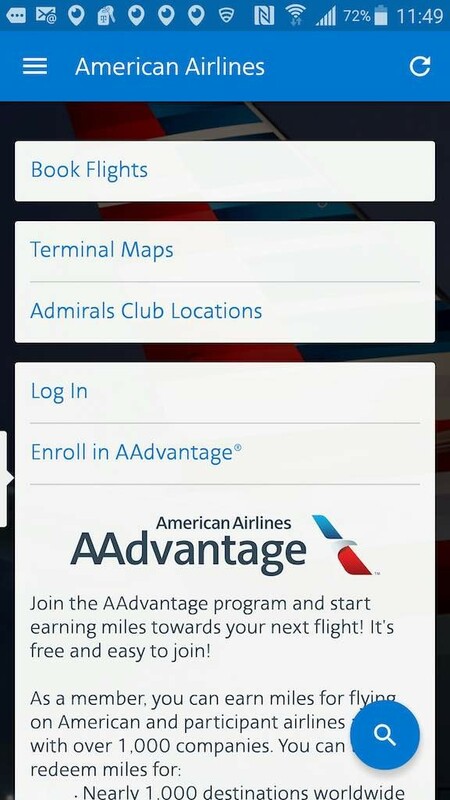 Note you have to have an AAdvantage account and sign in to the App in order to see the list. After a three phone calls to American, it seems that you have to have a reservation on that flight to be able to see the standby list. This is the page you see when you first download the App and is not signed in. 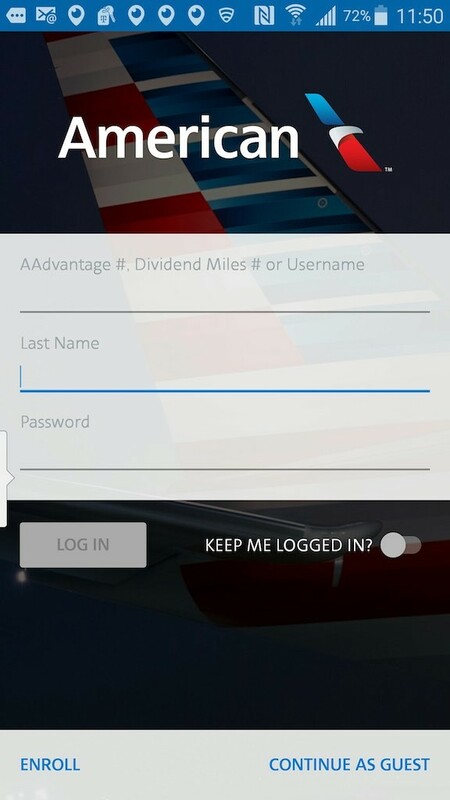 First sign into the App using your AAdvantage number, last name and password. You can then click on the three lines in the upper left hand corner of the App to reveal this screen. Click on Flight Status to continue. Search for your flight by origin and destination or Flight Number, then choose the date of travel. Choose your flight from the results returned. Choose your flight. 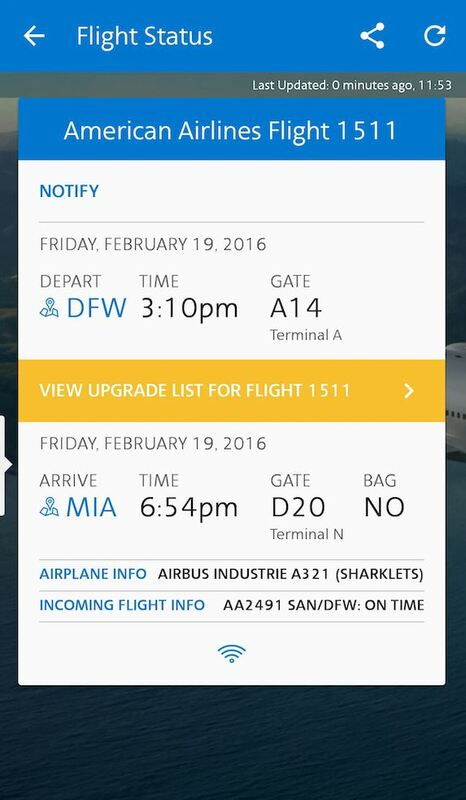 If you don’t see the yellow band above, then the Upgrade List is not available for your flight. Click on the yellow band to see your position on the Upgrade List. If you’ve received a seat, you’ll see a check mark next to your name. We will be pass riding to Spain (BCN) from MIA (July). My wife and I were discussing what day of the week would we have the greatest chance to board the carriers who fly direct (IB, AA, BA). We know that the days of getting on board as a pass rider are diminishing as carriers load their flight more, but we wish to make a decision as to what day to pass ride in lieu of the high-risk of not boarding. Thanks for your much appreciated suggestion(s). 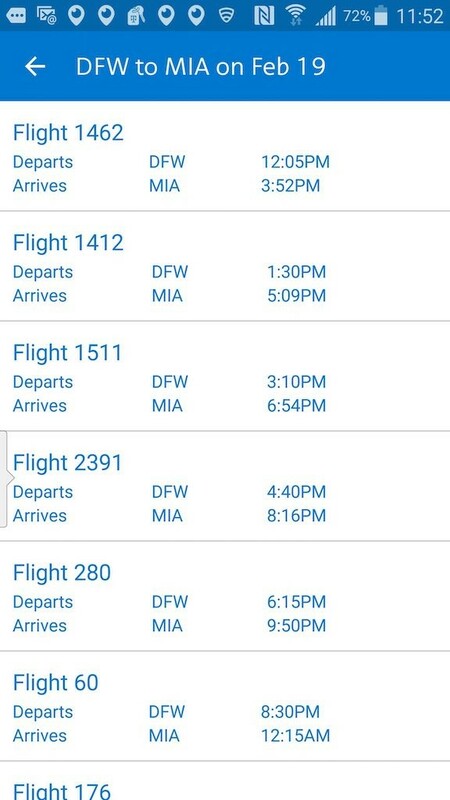 That’s a tough one, but typically Tuesdays and Wednesdays are the least traveled days even during the middle of summer. You may have to fly into another city say Madrid and take a connecting flight, a bus or train. It takes longer, but at least you’ll get there. There are shuttle flights from MAD to BCN on Iberia all day long. I downloaded the andriod AA app this morning, and I cannot get it to display the upgrade list. When I go to flight details, there is no yellow band, or anything else, that says “view upgrade list”. I have tried it fr several flights departing today, with departures as soon as 1 hour from now and as far as 6 hours from now. What might I be doing wrong?? 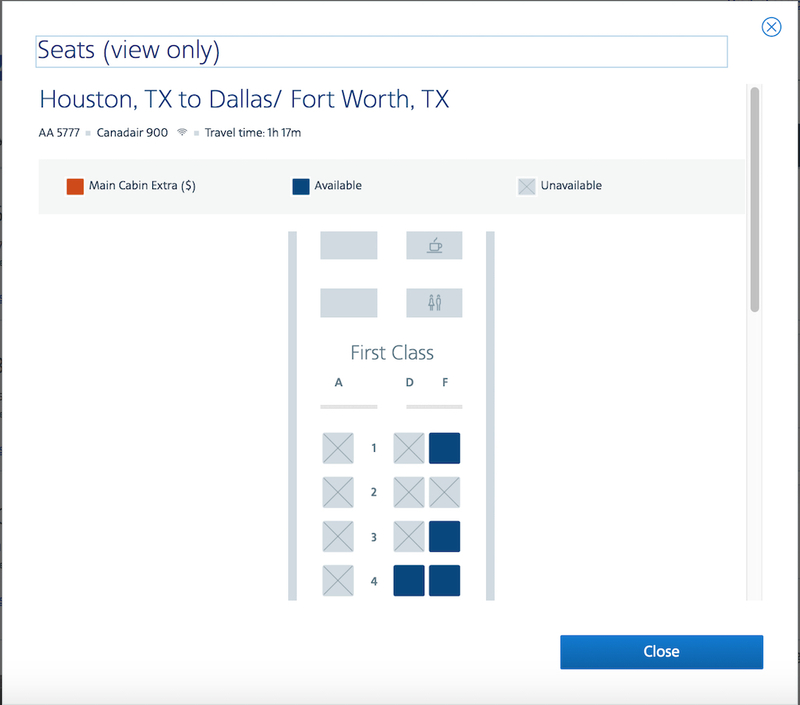 It appears that American has disabled the seat availability feature on its main website. Just FYI, I got the seat availability list yesterday or the day before so maybe it was just down or unavailable for a short time? 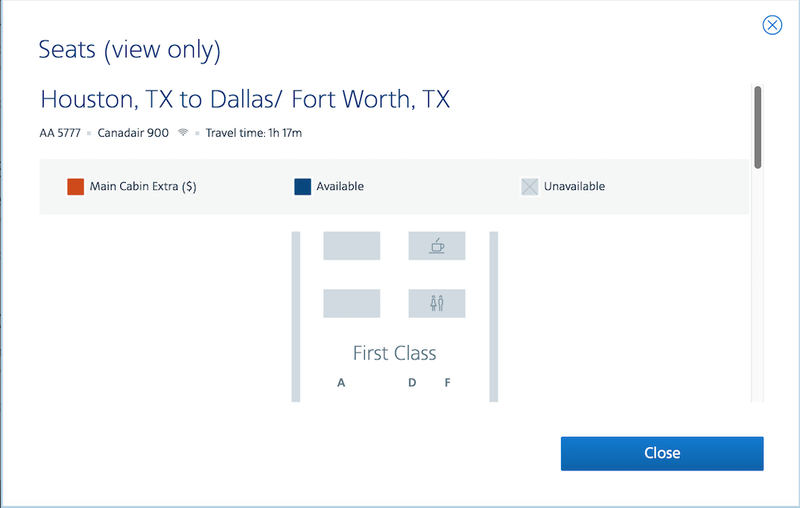 Too bad AA doesn’t make it as easy to access that and other standby info as UA does or at least did. I have been having a harder and harder time accessing the non-employee pass rider sign in we used to use. It keeps taking me to the employee sign in needing the n# now unfortunately. Do you happen to know anything about changes they have made?